We develop responsive, mobile-first websites using Bootstrap, the most popular front-end component library. Bootstrap ensures easy front-end development and excellent user experience through its responsive website design elements. Be on the go with your customers all the time, increasing the footprint of your brand through an expanded presence on all devices. 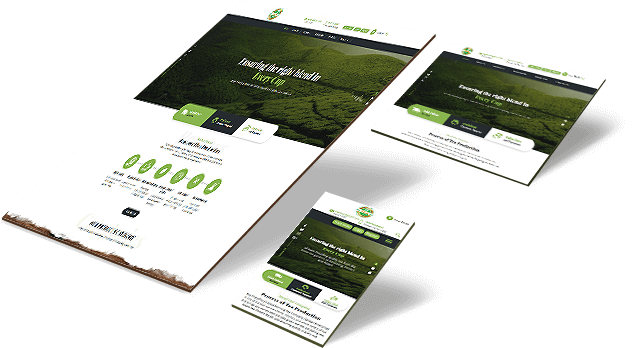 As a full-service responsive web design company in India, we create beautiful, high-end mobile-friendly websites with bootstrap framework that work seamlessly on desktops, laptops, smartphones, and other handheld devices. One of the popular open source frameworks, Bootstrap is your best bet if you are planning to develop website for mobile devices. With its large collection of HTML and CSS based design templates, it makes the development of essential interface components quite easy. Webguru Infosystems is an ISO 9001:2015 certified company offering responsive web design on Bootstrap Framework. At Webguru Infosystems, we strive to provide you with agile responsive web design services at the most reasonable price. As a leading web design company in India , we understand your business needs like no other. Our efficient team of front-end developers uses the latest versions of Bootstrap framework to create feature-rich mobile websites for businesses. Bootstrap Version Upgrade – 2.3 to 3.x. Our experience spans over 10,000 projects for clients all over the globe. With the most up-to-date technologies, we ensure all resolutions are covered. Our responsive web design costs are reasonable and can fit every budget. We adhere to strict delivery timelines to ensure results within schedule. The Web nowadays, is not something that can only be seen on desktops, rather we now carry it in our pockets. This is now a global trend, which is more to grow in the time to come. So, the odds are that many people may have not seen the desktop version of certain websites, as they access the web only through their smartphones. Hence, to cover all potential consumers, a website needs to be scalable across varying screen size for the best experience, both through looks and functions. Further, the content needs to be trimmed down to its most vital elements.